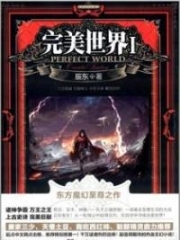 You’re reading novel The Demonic King Chases His Wife: The Rebellious Good-for-Nothing Miss Chapter 889 online at LightNovelFree.com. Please use the follow button to get notification about the latest chapter next time when you visit LightNovelFree.com. Use F11 button to read novel in full-screen(PC only). Drop by anytime you want to read free – fast – latest novel. It’s great if you could leave a comment, share your opinion about the new chapters, new novel with others on the internet. We’ll do our best to bring you the finest, latest novel everyday. Enjoy! Su Luo did not know where she ought to go to hide. All of a suddenly, a light flashed on in her mind. The most dangerous place was precisely the safest place. On her left hand side was the dungeon! Su Luo suddenly rushed in. At this time, Li Yaoyao was still unconscious. Su Luo had no time to think it through and directly slapped Li Yaoyao awake. Then, she rapidly flew into the Ten-Sided Cage. She had just finished arranging her posture properly, when Fairy Yan Xia entered. Fairy Yan Xia’s suspicious gaze swept over the surroundings. The dungeon appeared the same from when she left before. Su Luo, that black-faced girl, was still crouching inside the dungeon, having never left. Li Yaoyao was also guarding it with her eyes open. A raging inferno was ignited inside of Fairy Yan Xia’s eyes! But, her maid had actually been killed by someone! This still wasn’t the most serious thing. The most serious matter was that her medicine chest was stolen by someone! The things inside, to her, was very, very important! 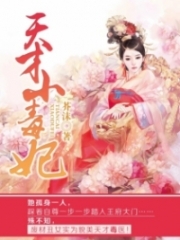 Both of Fairy Yan Xia’s hands were clenched firmly into fists, her face flickering between clear and gloom, in an indeterminate mood! How could Li Yaoyao still dare to stay seated? She had long since stood, bowed at the side. “No one had come in?” Fairy Yan Xia frowned. She kept feeling like a problem had occurred somewhere, but as for the specifics, she couldn’t say. That kind of feeling was very strange. “No…” Li Yaoyao felt there was some soreness on her face, like she’d been slapped by someone. But holding onto the princ.i.p.al that it was better to avoid unnecessary trouble, Li Yaoyao concealed it. “Also, no one went out?” Fairy Yan Xia’s voice was cold and strict. While she was speaking, her gaze even shot towards Su Luo who was sitting inside the cage. Su Luo, at this time, was leaning against a corner with both her arms around her knees, hugging them. Her head was resting on her kneecaps, drooping down gloomily from her shoulders. She appeared to be depressed and sad. Her face had been made to be like this, it’s also no wonder she would be sorrowful. Only when Fairy Yan Xia looked at Su Luo, she kept feeling there was something wrong. A light flashed in the pupils of her eyes and she pushed Li Yaoyao aside, walking forward with large strides. Within the time it took for her sleeve to flip over, the Ten-Sided Cage had already opened. Su Luo lifted her head up from her knee. She slowly stood up, looking at Fairy Yan Xia with an ice-cold gaze. Fairy Yan Xia’s eyebrows knitted slightly. This strong medicinal liquid smell, was absolutely impossible to be mistaken. This dark-faced young woman before her eyes was absolutely Su Luo, without a doubt. In the end, who was that person? Fairy Yan Xia thought until her head became big, but she still didn’t have any ideas. Originally, the target she ought to suspect the most was Su Luo, but this girl had been trapped inside the Ten-Sided Cage, completely unable to escape. So, she was the very first suspect to be eliminated. Could it be that someone knew Su Luo, this loathsome girl, was here, so they came to save her? The moment she thought of this possibility, Fairy Yan Xia’s eyes exploded out with a cold light. “Someone come, take Su Luo away!” Fairy Yan Xia coldly commanded. Hearing this, Su Luo’s heart shook, suddenly, a bad kind of feeling appeared. Seeing this, Li Yaoyao rushed up voluntarily and tied both of Su Luo’s hands behind her back. She deliberately made it very tight and Su Luo immediately let out a cry of pain. Fairy Yan Xia could not be certain if someone had come to save Su Luo. Aside from Rong Yun, she didn’t care about other people. She had lost her treasures, and her heart was in a towering rage. For now, she was merely venting, that’s all. 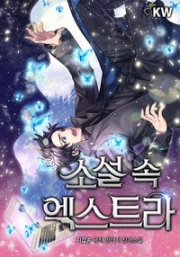 You're reading novel The Demonic King Chases His Wife: The Rebellious Good-for-Nothing Miss Chapter 889 online at LightNovelFree.com. You can use the follow function to bookmark your favorite novel ( Only for registered users ). If you find any errors ( broken links, can't load photos, etc.. ), Please let us know so we can fix it as soon as possible. And when you start a conversation or debate about a certain topic with other people, please do not offend them just because you don't like their opinions. You're reading The Demonic King Chases His Wife: The Rebellious Good-for-Nothing Miss Chapter 889. This novel has been translated by Updating. 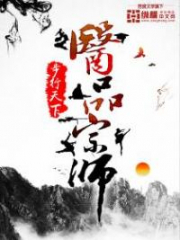 Author: Su Xiao Nuan,苏小暖 already has 10688 views. Current Time is Apr-19-2019 20:47:56 PM.